Dark interiors is not one of my gifts if any! but stained glass windows stand out nicely even when the rest of the image loses shadow detail. 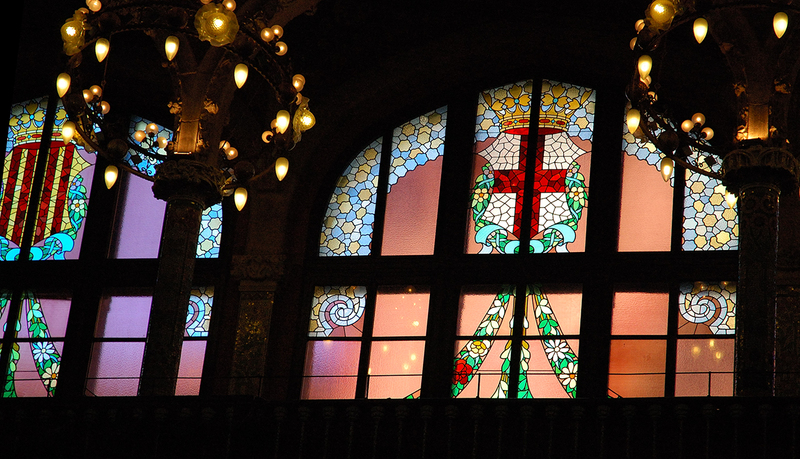 I was satisfied with the result considering it was forbidden to take pictures inside Palau de la Musica Catalana concert hall as I mentioned in a previous post and some of you have corroborated. the light is very suitable for the view. and those windows...those pattern is always my exotic favourite.